Updated Directions 4/26/2018: Throw all the ingredients into Magic Bullet and blend! I even just added softened butter, I didn’t melt it. Tonight I used a combo of almond milk and sour cream instead of the homemade buttermilk and they still were delicious! 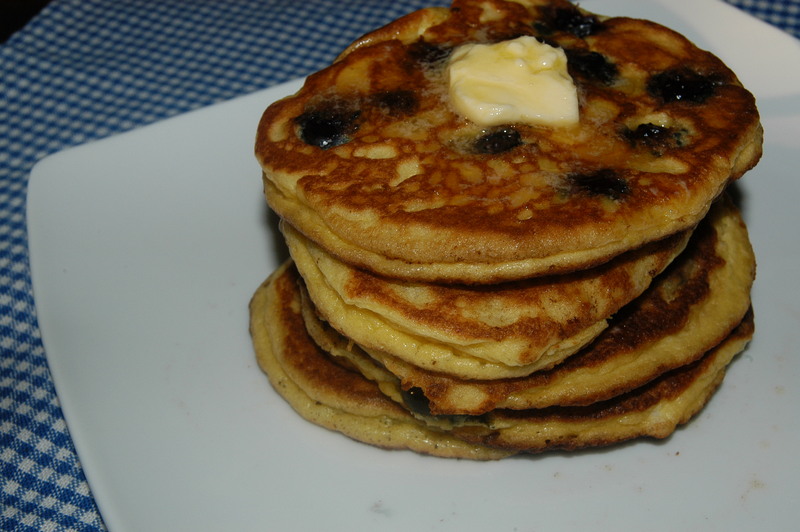 I didn’t even realize it was National Pancake day until coming to my blog to share my recipe again! Enjoy! These may be the BEST pancakes EVER! Grain-free or not! Light and fluffy, these pancakes are addictive! Why another pancake recipe??? (I do have 3 or 4 recipes in the cookbook already.) Keep reading! I can’t wait to make multiple batches on my big griddle! 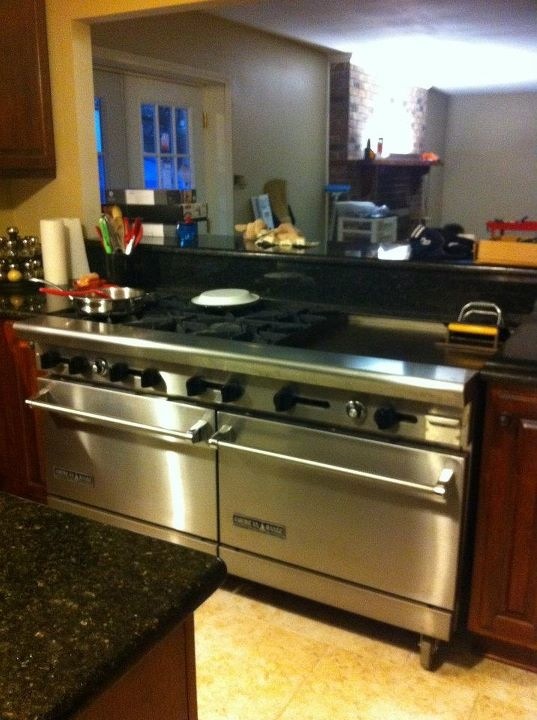 We purchased a commercial stove with double oven, 6 burners and a 2 foot griddle for DIRT Cheap on Craig’a List. I love it!! I don’t use the griddle side much because I am usually not preparing enough food for a small army but I think I will heat it up soon to make a BUNCH of these pancakes for the freezer! I just love Craig’s List finds! Now you know how I could bake so much for the Farmer’s Market! **Want to make these Dairy-Free? Simply use expeller pressed coconut oil (so the pancakes won’t taste like coconut unless you want them to) and coconut milk (homemade or the kind in the can without all the junk in it) instead of buttermilk. Don’t forget to add 1/2 tsp of raw apple cider vinegar to your batter! **Want to make these Nut-Free?? Use ground up sunflower seeds in the place of almond flour. Works perfectly! Surprise your kids and hubby with these delicious pancakes in the morning. Don’t tell them they are “healthy” and they won’t know the difference! Update: Don’t have time to whip egg whites?? 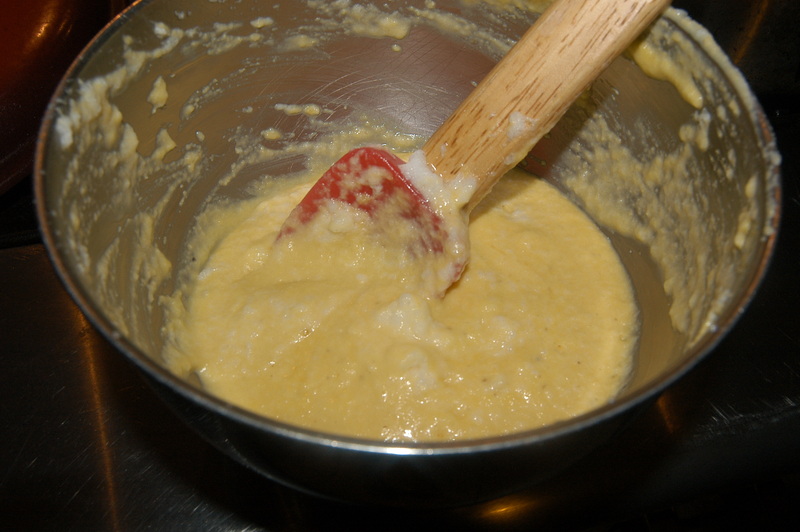 Just blend the entire egg with the liquid ingredients and add to the dry. According to someone who tried this, it works just as good. I wouldn’t think quiet as fluffy but just as tasty! 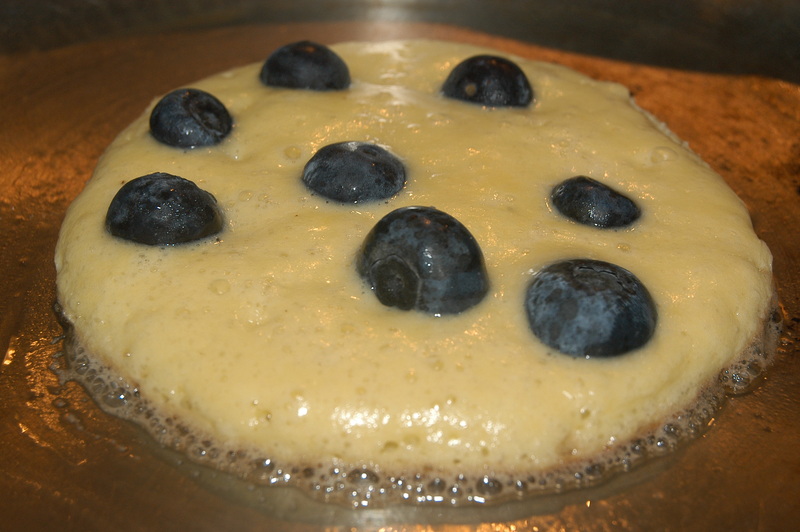 Enjoy warm with a smear of salted butter, a drizzle of warm honey or this awesome Homemade Blueberry Syrup. For Waffles: Follow waffles maker directions. Have you enjoyed this blog post?? I hope you have! If you love my site and have enjoyed all of my recipes and content, please consider supporting me through my affiliate links. This is at NO cost to you. I simply receive a VERY small commission on purchases made through links on my site or by using THIS link through Amazon. Thanks so much for your continued support! I made this tonight because my daughter and I saw it posted this morning and thought it looked so good! My family gave is 5 out of 5. Best GF pancake recipe out there! I quadrupled the recipe to feed my family of 6 – still not enough. 🙂 I found that the smaller I made the pancakes the better they turned out and the easier they were to flip. I cannot emphasize enough how great they were! Thank you for sharing all your amazing recipes. 3 servings of Pure Kal Stevia? i have stevia concentrate/extract? or natvia? The Kal Stevia contains an itty bitty spoon and that is what I call a serving. If using a different brand, add a little and taste and adjust to your liking. Hope this helps! had them this morning. absolutely delicious. substituted 1 tbs honey for the stevia. Thank you for this recipe!!!!! I have tried numerous low carb pancake recipes with my family of 5 and they have never liked them. Ever. 🙂 Saw this and thought I would give it a try on them one more time. Empty plates all around and they were asking for more! Finally! Thank you for such great recipes. Will definitely be trying more! O M GOSH!!!! These are A M A Z I N G!!! I’m buying your book after tasting these babies. my mom and I LOVED them and I am very hard to please. Thanks SO much! Ann, I am glad you enjoyed them.. these pancakes ROCK! More great recipes in the cookbook! My mom and I LOVED them! AND they held us over for hours, which is unusual for both of us. I’ve tried several grain free recipes for pancakes and they were all flops so I am thrilled to finally find a real winner. You are a prodigy in the kitchen. I will be buying your e-book for sure. Thanks SO much for the years you spent testing and PERFECTING your recipes. When you find one this delicious its invaluable. I will make sure I pay full price for your e-book. You deserve SO much more than you are asking. I can’t thank you enough. I plan to make them without the stevia too so I can fill them with organic meats, and veggies for a savory meal! I have hope I will be able to change my eating habits for life now and that means I have a real chance to heal so I am truly grateful to you.THANK YOU! Amber, be sure not to loose the volume of the egg whites when you fold them in. IF you overwork the batter at this stage, they will be heavier which makes them more eggy! Hope this helps! How do I make sure I don’t overwork them? 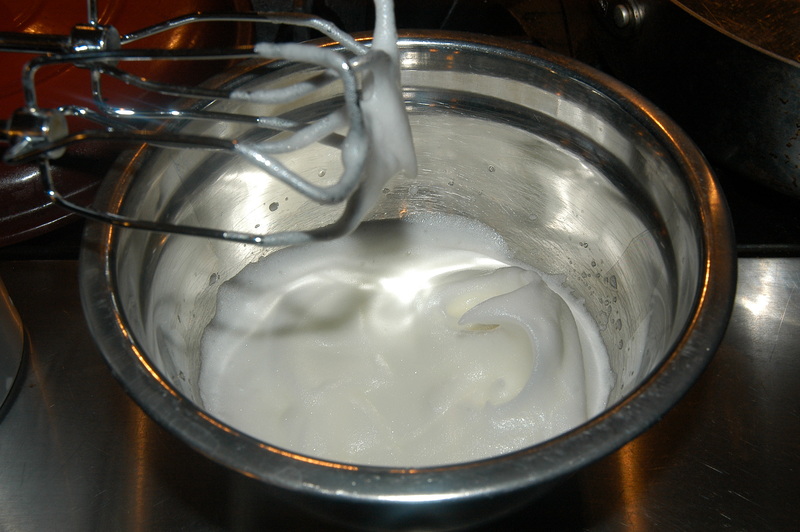 You want to just fold in the egg whites, don’t stir them in. There will still be bits of egg white, that is ok. The batter should be VERY fluffy. Hi. Just wanted to leave my take on these. We are new to grain-free cooking, so I wasn’t too sure what to expect. I was very careful not to overwork the egg whites, having read through the comments, but these were eggy tasting. One son loved them, one son said he didn’t care for them “they taste like a fried egg pancake” daughter liked them, I was wasn’t excited about them. Hi Heidi, if you think they are too eggy, try omiting 1 of the egg whites and adding 1/4 tsp extra baking powder and 1 tbsp extra dairy. You can save the egg white to make my Chocolate Chips cookies! Thanks for the feedback and let me know if that helps. I’d love to try this but we have dairy issues. Is there a substitute for the buttermilk? Soy is also forbidden. Yvonne, you can also use coconut or almond milk. Add 1/2 tsp if apple cider vinegar. Hope you enjoy them. And yes, soy is definitely forbidden! Would these pancakes work if I used store bought buttermilk? We don’t typically drink milk and I’m afraid the leftover milk would just expire. Lisa, yes, that wound work fine. I started making my own because of all the stuff they put in some brands. Hope you enjoy the recipe! everything on this site looks amazing! First time visitor here. I am currently doing keto (high fat low carb) and I am wondering if you have nutritional info for these recipes (specifically net carbs). I am under 20g a day so I have to be very picky. 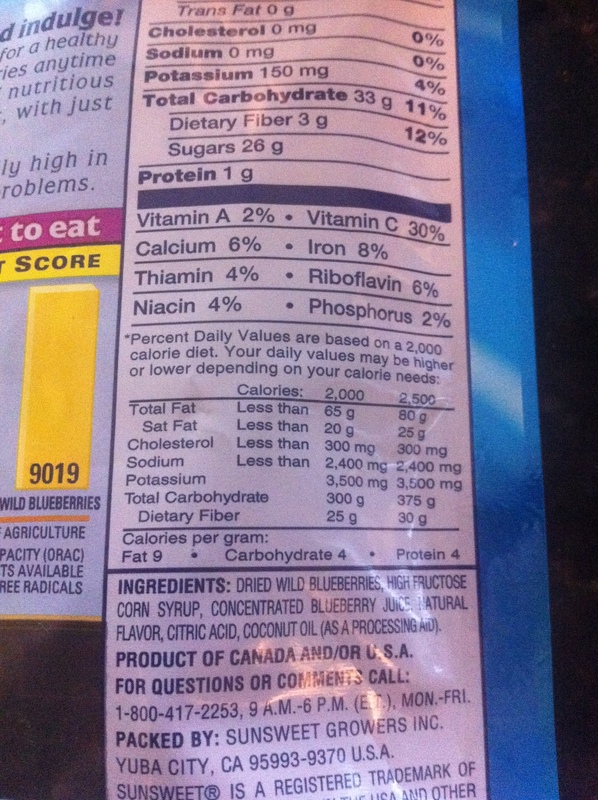 I’m an idiot who cant read that you specifically said net carbs at the top. Reject both of my comments. This sounds VERY yummy. Do you think I could use powdered buttermilk? Dawn, as long as you have the same amount of liquid, it should be fine with whatever dairy you use! If it’s powdered, use either coconut or water instead of the buttermilk. Let me know how it turns out! Is there a print feature for this recipe? Also, do you have a hardcover cookbook rather than an e-book? Sharon, to print the recipe, highlight the recipe, right click and select print. As for the hardcopy cookbook, look on the right side of my blog and you will see “add to cart” buttons to purchase my books. Let me know if you have any questions! 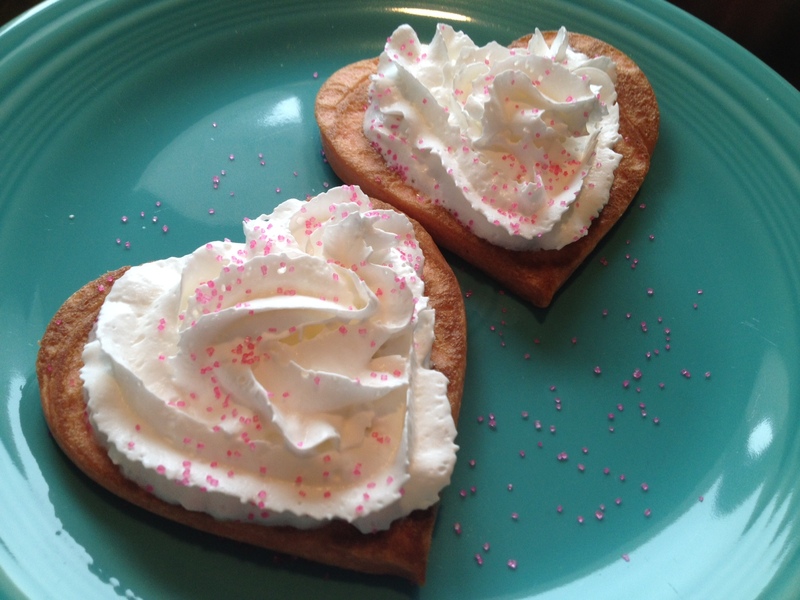 Thank you so much for the awesome recipe….it made our Valentine’s Day perfect. Made them in the shape of a heart. 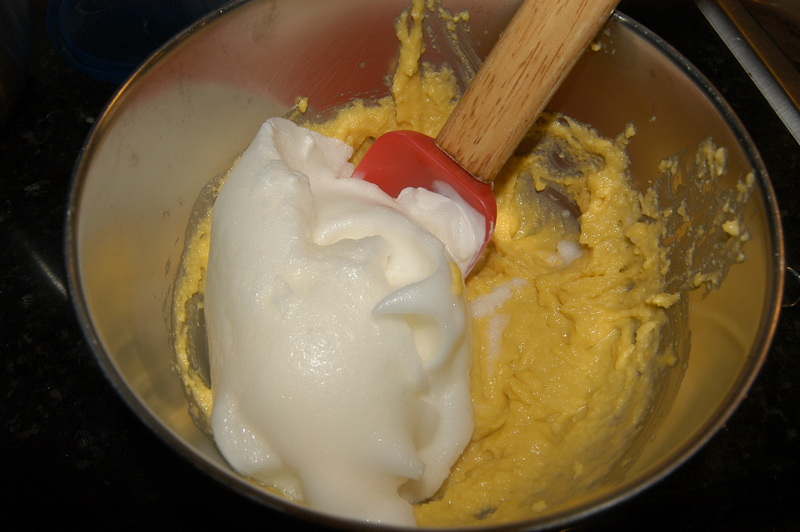 I have no patience for whipping egg whites, so I threw everything in my blender on high for 1 minute. 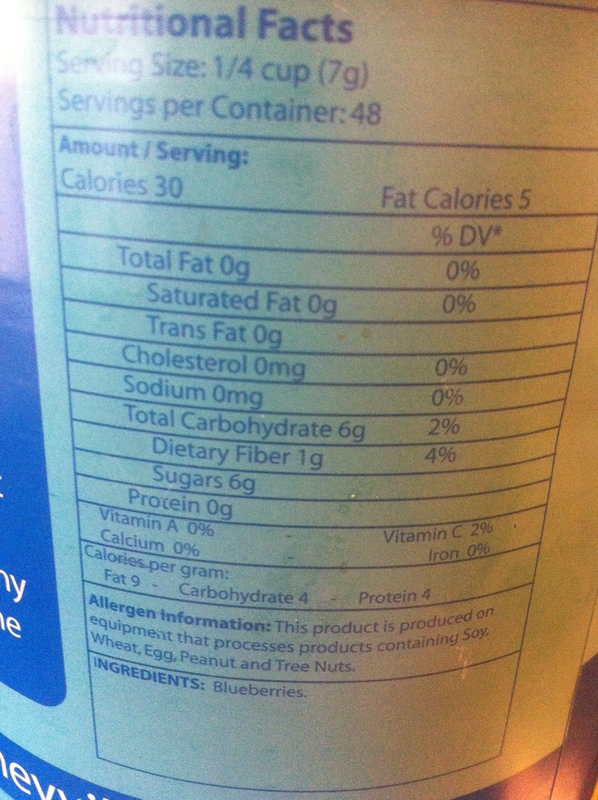 I also substituted “vanilla butter & nut” extract instead of plain vanilla….tasted like cake batter. 🙂 YUM! They are the best! Hi, I’m so excited to make these pancakes! I thought that I had buttermilk but when I opened the fridge I realized it was heavy whipping cream instead!! UGH!! I was wondering if you can make your own buttermilk using Fat Free milk?? Staci, I am not a fan fat free milk. You can use HWC or half HWC and water. You can even use coconut milk or unsweetened almond milk with a little vinegar (I think the recipe mentions this). I hope you enjoy! These came out really nice! I remembered to weigh out 68g of almond flour instead of blindly measuring, as per my mistake with your irish soda bread. I made the buttermilk 2 nights ahead, but it seemed to stay fine in the fridge. Fried these in bacon grease in a cast iron pan, they blackened a bit but tasted divine! I got 6-7 awkwardly sized pancakes from this recipe. Not as tedious of a recipe as it sounds! Totally worth it, especially if you make the buttermilk ahead. Thanks! Thanks for the note about not having to whip the egg whites. I’m sure that I would never have made these without that note. I have better luck flipping the pancakes when I make 6 slightly smaller ones. My larger ones end up looking like semi-scrambled pancakes….but still taste good. Hi. 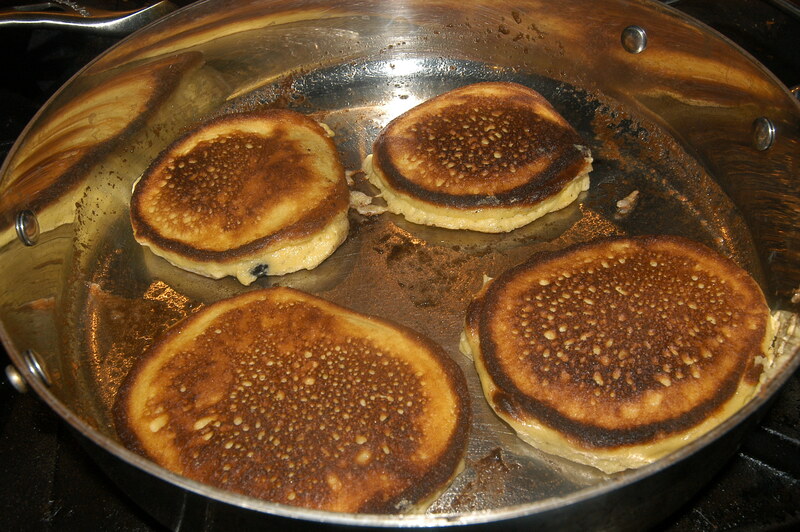 I tried this recipe and the pancakes turned out beautiful, but seemed to be gritty. I am new to using Almond Flour, so is this the normal texture for Almond flour or did I do something wrong? Thanks for the recipe. I’m going to give it another try. Rhonda, I only use Honeyville almond flour because of its fine texture. Be sure to check out my Baking 101 post about recommended brands. I know this post was written over a year ago, BUT I had to tell you this morning I made these as waffles! 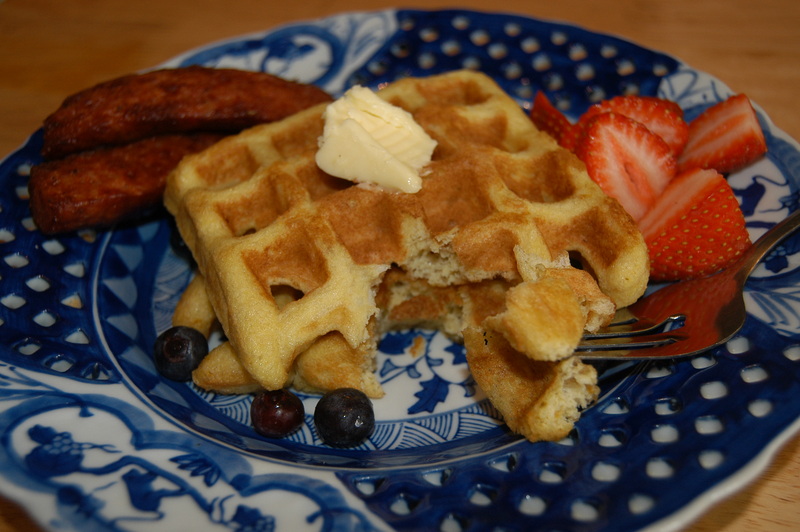 They are simply the best grain free waffles I have ever had. My picky teenager ( you know how they can be!!) absolutely loved it. He is not grain free, but does try to eat low carb. I haven’t had waffles in years but couldn’t believe how awesome they were. I couldn’t get my egg whites to stiff peaks (for another recipe) so I dumped everything in the order listed in my Vitamix and blended. WOW WOW WOW thank you so much. My teenager loves you!!!! This is coming from a accomplished baker of all things floury. Everyone, please try these!! Wow just wow! One of the things I miss eating low carb grain free is the pancakes and watching everyone else eat them while I have to eat some sort of eggs and bacon for breakfast. I mean I love eggs and bacon but come on now I just need something sweet for breakfast once in awhile. These pancakes were amazing! I’ve made different low carb pancakes before that always claimed to be “the perfect low carb pancake” but they always seemed to be missing something that made them taste a lil off. Well that all changed when I made these yummy pancakes today! These are indeed the perfect low carb grain free pancakes! I used heavy cream instead of the homemade buttermilk to keep the carb count down and 5 scoops of the trader joes organic stevia (which I’m a huge fan of btw, thanks for introducing that amazing sweetness in my life!). Can I make the batter ahead a time? Or freeze it?